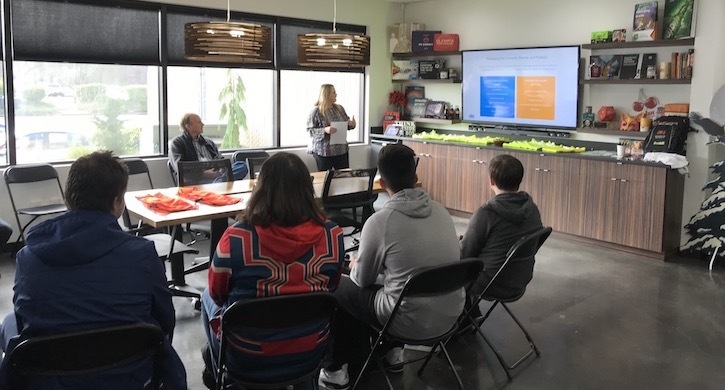 Earlier this month, in celebration of Manufacturing Day, The BoxMaker hosted a group of local high school students at our headquarters in Kent, WA. 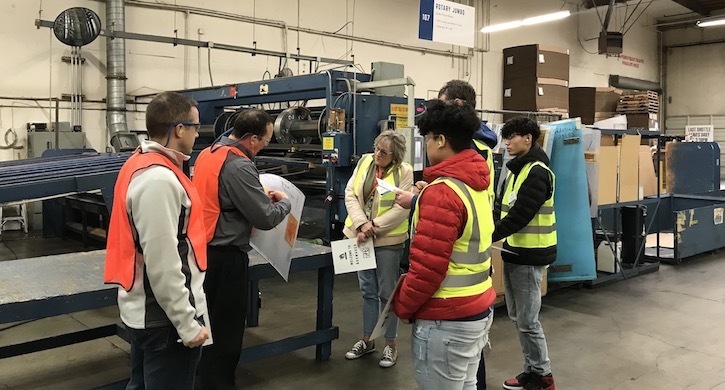 The students are enrolled in Kentridge High School’s 3D printing class, and as such, they expressed an interest in learning more about manufacturing and latest print technologies. The visit included a full plant tour (complete with scavenger hunt! ), Q&A panel, and a pizza lunch with coworkers from across the BoxMaker organization. The goal of Manufacturing Day (October 5th) is to inspire the next generation of manufacturers and showcase the wide range of career opportunities available in the industry. Over the next decade, there will be an estimated 3.5 million job openings in manufacturing in the United States, with a growing skill shortage. 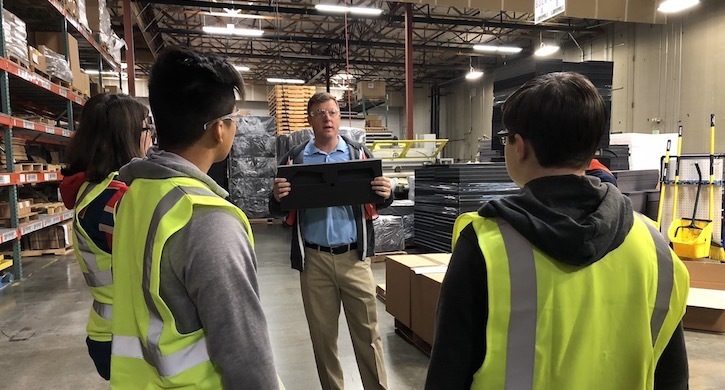 With our home in the 2nd largest manufacturing market on the West Coast and 5th in the United States, it’s a part of our responsibility to help educate and build a qualified and diverse workforce. We love having the opportunity to engage with our local community and inspire future generations through events like Manufacturing Day, BoxMaker University, and Packaging Experience Summit. Today’s students are tomorrow’s leaders — championing innovation and creative solutions in the manufacturing industry. If you’re interested in scheduling a tour of The BoxMaker, don’t hesitate to contact us.